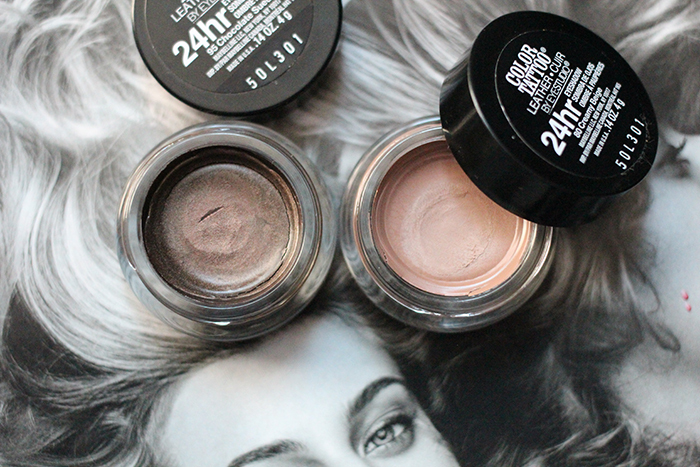 More Drugstore Cream Shadows – amandarobots. The beauty world goes into a frenzy whenever Maybelline releases new Color Tattoos, and with good reason. 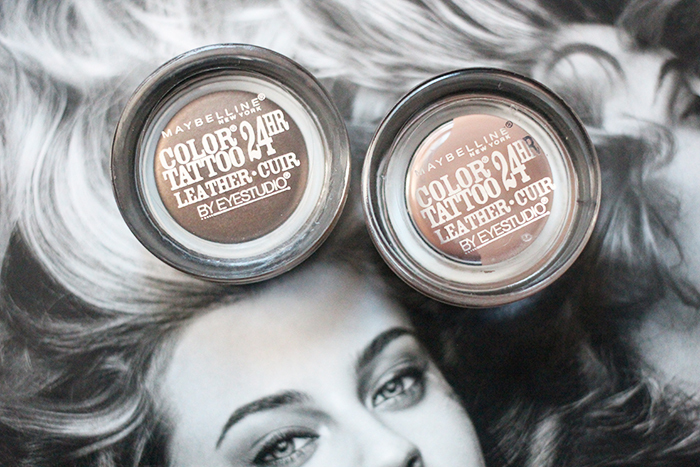 It’s very difficult to find budge-proof cream shadows in a wide variety of shades at the drugstore, and Maybelline’s are some of the best I’ve found, drugstore or not. I love Bad to the Bronze – especially because I don’t need a powder shadow to set it – so when I heard about the Leathers collection of Color Tattoos, I started creepin’ my local drugstores. I purchased the two colours I found most interesting and flattering. The whole line is supposed to be matte – hence the leather – but I actually find both colours to be shot through with a little bit of shimmer, but that doesn’t bother me; it just makes them more wearable. Creamy Beige is a light brown that leans pinkish-gold with fine rosy shimmer through it. 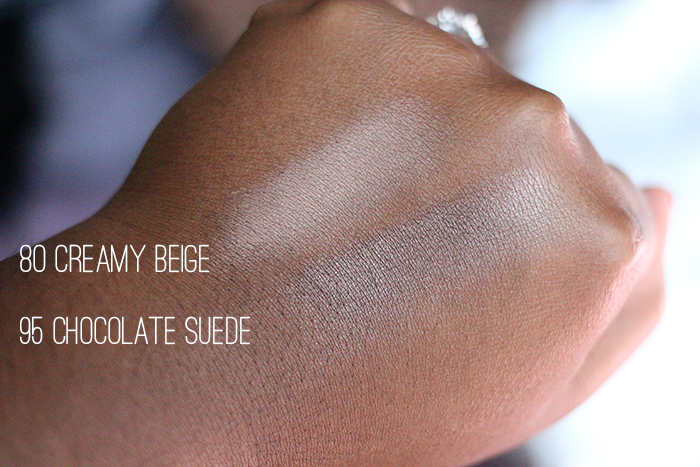 It translate mostly matte, and is just a shade or two lighter than my skin tone. This makes it great for brighting up the eyelid on its own, or making colours pop under powder shadows. Chocolate Suede is a slightly cool-toned bronze that tries to be matte, but ends up a little frosty. To me, this makes it a bit hard to wear. Still, it provides a nice, neutral base for darker eye looks. I find that, like the other Color Tattoos, these guys require a primer to perform best on me. Maybe it’s my hooded lids, but where other beauty bloggers don’t need a base, I always always do. I’ve tried them with UDPP and Nars Smudge-Proof, and both work nicely. They last well once they dry down, and are remarkably difficult to remove, which is always a good thing where cream shadow is concerned (especially for long school days). My sole complaint for these is that you have very little time to blend between application and the product actually setting. If I’m not quick enough, I can end up leaving things a bit splotchier than I’d like. I didn’t encounter this problem with the original ones too much, so that’s a consistency through the line issue. Still, I won’t hold it against them. These are fab!